Business Headquarters, Yokogawa Electric Corp.
One of Yokogawa's corporate philosophies is to contribute to society through broad-ranging activities in the areas of measurement, control, and information. To achieve this philosophy in the control industry, Yokogawa launched CENTUM, the world's first distributed control system (DCS), in 1975. While Yokogawa's corporate philosophy remains unchanged, CENTUM has been making progress and expanding its functions along with advances in technology, environmental changes, and changing demands since its release 36 years ago. Yokogawa released CENTUM VP R5, the newest version of CENTUM, in September 2011. I have been engaged in the development of CENTUM since 1981, so I would like to look back over the evolution of the DCS and give my frank impressions. Before 1975, the mainstream of controllers for process control was a one-loop pneumatic controller. Plant operation was performed by what is called board operation; many controllers with indicators, recorders, and annunciator lamps were mounted on large instrument panels. Yokogawa focused on microprocessors from their early stages, which were the cutting-edge technology in those days, and applied them to control systems. Yokogawa divided the control system functionally into three basic components: human-machine interfaces (HMI, such as CRTs with a keyboard), controllers and control bus, and then named the system "distributed control system" (DCS). The functions of the instrument panel were reproduced on the HMI, and board operation evolved to CRT operation. Building the logic that used to be configured by relays was achieved within the controller, and it offered greater flexibility. At the same time, the signals for sensors and valves were unified to 4-20 mA electric signals. From 1975 through the early 1990s, Yokogawa built faster and larger-capacity controllers as well as faster HMIs by using microprocessors and memory chips, the performance of which improved year by year. DCSs dramatically spread in process automation throughout Japan in the context of plant modernization in the late 1980s and the early 1990s. While the DCS architecture consisting of three components remains unchanged, the functions have been significantly enhanced. This section introduces several of those enhancements. DCSs improved in performance and had spread by the early 1990s, but it was difficult to use process data in a DCS from outside (the problem of "isolated island of information"). To enable a manufacturing execution system to extract data from DCSs and give instructions to DCSs, DCS manufacturers defined their own communication media (such as RS232C and GP-IB) and communication protocols to address the problem. However, there was no standard means of communication. In 1990s, Ethernet became the de facto standard for local area networks (LAN). In 1996, the OPC Foundation (OPC: OLE for Process Control) standardized communication interfaces as the industry standard to enable real-time data communication among control equipment of different manufacturers. As the introduction of OPC provided an environment for using DCS data in real-time, various functions made rapid progress including advanced control, such as multivariate predictive control, and a historical function that enables long- term storage of raw process data and derived data. The concepts of the functions required for respective layers including Enterprise Resource Planning (ERP), Manufacturing Execution System (MES) and Process Control System are generalized according to the ISA-95 functional hierarchy model, vertically integrating from a management or business level to a DCS process level. In many plants, efficient operation is actually achieved by experienced operators. Therefore, some solutions are required to maintain the operational know-how of such operators even after they retire. Yokogawa has worked on this problem from an early stage and offers the Exapilot operation efficiency improvement software package that formalizes the operation procedure of experienced workers as a standard operation procedure (SOP) and guides ordinary operators based on the S O P.
Not only the DCS but also sensors and valves are making progress. These intelligent devices enable predictive diagnosis of devices themselves and diagnosis of the process that they are interfacing with. Yokogawa offers a plant resource manager (PRM), which gathers data from such devices via F OUNDATION fieldbus TM and HART for the DCS and informs operators of the diagnosis data. DCSs have evolved as DCS manufacturers competed in developing their own functions until the early 1990s. In the late 1990s, with the spread of the Internet and the accelerating progress of information technology along with Microsoft Windows, DCS manufacturers enhanced the links with information technology and introduced the latest functions by using general-purpose technologies. Like other manufacturers, Yokogawa adopted PCs with the Windows operating system as the standard HMI station for CENTUM CS 3000, which was released in 1998. The enhanced display capabilities such as resolution and number of colors and fonts, faster LAN communication, larger-capacity auxiliary storage devices and the like were easily achieved, thus immensely improving the convenience of the DCS. Yokogawa also utilizes tools including Microsoft Office software to offer an environment where users can easily improve their plant operation through DCS data analysis and others. Just like the OPC for process data communication, standardization is being promoted in various areas. The communication between field devices such as sensors, valves, and DCSs has changed from 4-20 mA analog communication to digital communication using F OU NDATION fieldbus, HART, or the like. Device configuration has been standardized to use the Field Device Tool (FDT)/ Device Type Manager (DTM) or Device Description (DD). Yokogawa has adopted ISA100, which is secure and advantageous for long-distance communication, for wireless sensor networks. Yokogawa's DCS also conforms to standards including ISA-88 for batch control and ISA-18 for alarm management. There is no end of the evolution of the DCS; it will continue to evolve. This section looks at the future of the DCS. Starting from an isolated island of information, the DCS has adopted open technologies such as Windows and LAN to achieve a wider variety of functions and improve the information connectivity with external devices or systems, and has provided users with a variety of effective functions. Meanwhile, as the Internet has spread throughout the world, cyber attacks have come to threaten process control facilities. A nuclear plant in a certain country was recently attacked by the Stuxnet malware, and a cyber attack against a leading Japanese general machinery manufacturer, which plays a key role in the nuclear and defense industries, is still vivid in our memory. The Duqu, a Stuxnet-like malware, was found in November 2011. Both the Stuxnet and Duqu target industrial control systems. If the control system of a critical social infrastructure such as a power station or oil refinery suffers a cyber attack, it will cause unpredictable effects. Besides such intentional cyber attacks, there are many serious incidents, such as ordinary computer viruses sometimes infecting PCs at process control sites via USB memory devices and interfering with communication. Cooperative cyber security measures must be taken immediately by manufacturers and users, and Yokogawa also is seriously tackling this emerging problem. 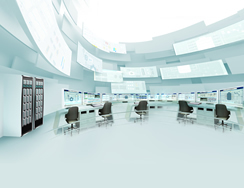 Yokogawa will strengthen the protection of control systems through continuous enhancement of the security functions of the DCS, consultation and support for system reconfiguration to ensure the security of users' systems. One of the less-recognized features of the DCS is that it offers information to operators 24 hours a day. Not only Yokogawa but also other companies have been providing various solutions running on PCs since 2000. Vibration analysis is one such solution. If a sign of an abnormality in a rotary machine is detected through vibration analysis, it should be reported to operators via the HMI of the DCS. CENTUM and PRM already offer such a function. Yokogawa will look over the whole plant floor and enhance the role of CENTUM to report information to operators not only from Yokogawa's systems but also from other manufacturers' systems. DCS systems installed from the late 1980s to the early 1990s are approaching the time for replacement or migration after 20 years of use. The functions of the DCS and its peripheral devices have made considerable progress during this period. Yokogawa strongly recommends that, during the migration, users not simply replace the DCS but also adopt the latest advanced functions that will bring them many benefits. 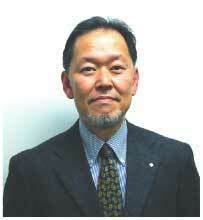 The last issue of Yokogawa Technical Report (Vol. 54, No. 1, 2011) features "VigilantPlant Services to be a Customers' Lifetime Partner for Operational Improvements," which is one of Yokogawa's new challenges. Yokogawa promises all customers that it will continue to develop the DCS and other control systems as the basis for realizing customers' ideal plant operation as well as the platform for creating solutions as a partner for operational improvements. CENTUM, Exapilot, and PRM are registered trademarks of Yokogawa Electric Corporation. Other product and company names in this article are trademarks or registered trademarks of their respective holders.